Welcome to 1954FordTrucks.com. When my first 53 Ford F100 was found to be in too bad of shape to completely rebuild, I found a good 54 truck with a good cab. 1954 F100's were basically the same as the 53. 1954 brought the first overhead valve engine in the Ford truck. Gone was the flathead V8. The body was the same as 1953 trucks except the grille. 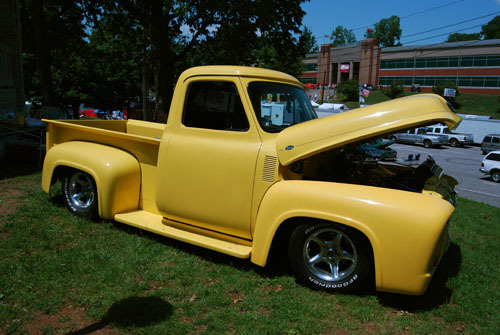 There is also great information and 1954 Ford Truck Parts at CMWTrucks.com. 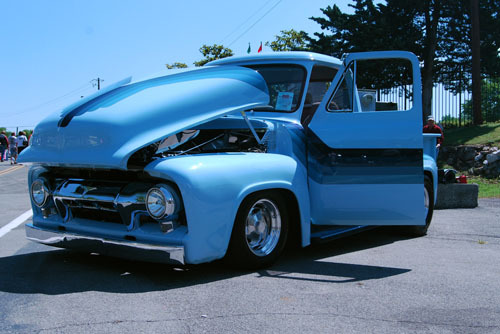 CMW Trucks offers hundreds of restoration parts and hot rod parts for 1954-1956 Ford F100's. We specialize in them and carry several original style and custom parts that other suppliers do not usually have.